Someone Thinks My Blog Has Substance! These Are Some Deals I Can Live With! I must be in the dark because apparently a lot of celebrities have known about Signorelli way before I did. Their line of clothing can be seen on the famous likes of Halle Berry and Kim Kardashian. It's no wonder that Signorelli's graphic tees are a sensation. They are comfortable, have great designs, and are made in the USA. Even if you could care less about what celebrities are wearing, Signorelli still makes a grand example with the idea behind their tees. Signorelli collaberates with organizations that propagate positive change. Their tees with organic fabrics and graphic designs are used to promote causes such as ending poverty in Africa and protecting human rights. They give back to charities and work with celebrities to bring awareness to special causes. 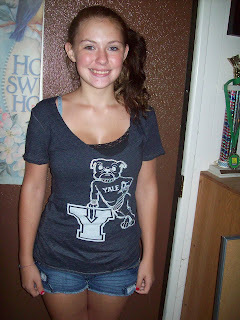 Shelby has been sporting her Yale Dog tee at school. 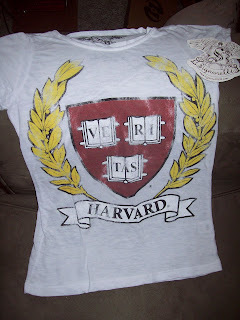 She has a couple of university tees from Signorelli and is pleased with the look and feel of them. I'm a plus size gal and I'm always concerned about how form-fitting tees fit. 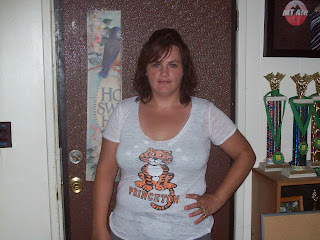 Although my muffin top still showed a little (that's inevitable I guess), I really liked how the Princeton tee I received contoured to the shape of my body. The tee is quite soft and comfortable. It is somewhat thin so I have to wear a tank top underneath to keep my tatas from showing. I like it enough that it's towards the front of my closet so I can wear it often. It's been washed and dried with no shrinkage or fading. 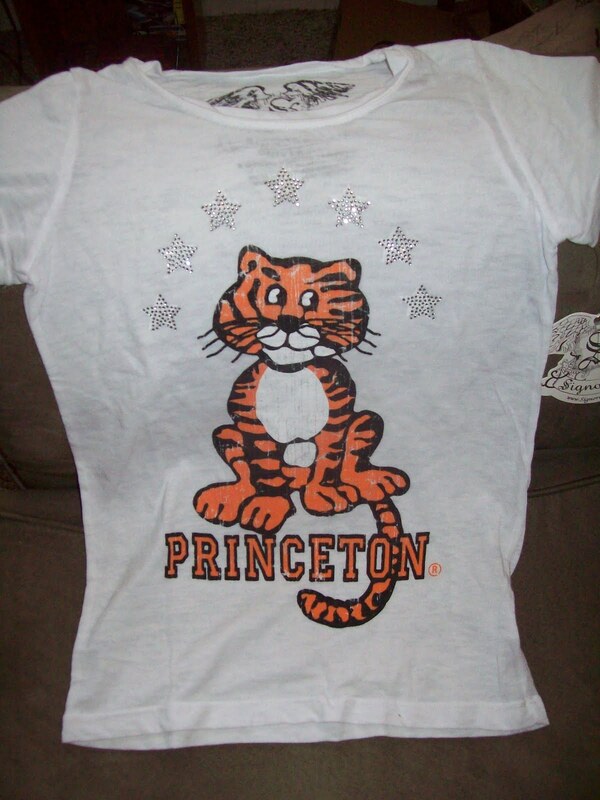 One person will win the three Signorelli University girls tees pictured above (Princeton, Harvard, and Yale). Leave a comment with a tee or tank you like from Signorelli. Leave a comment with another tee or tank you like from Signorelli. Follow Signorelli on Twitter, Signorelli. Blog about this giveaway, leave a link to the post. Leave a separate comment for each entry and include your email address in the comments. Giveaway is open to residents of the USA. Giveaway ends 9/15/10 at 8 pm CST. Winner will be randomly drawn and will have 48 hrs. to respond to email notification or a new winner will be drawn. I received tees for review from Signorelli. The opinions within this post are of my own and I was not influenced in any way. Please do your own research before purchasing products. Your opinions and results may differ. Every Tuesday Traci66 hosts Tell Me More Tuesdays, a fun blog meme where you answer five questions that are posted. 1. Have you ever ate a bug, or anything else that isn't food? I try to keep non-edibles out of my mouth. 3. Do you decorate for the holidays? I used to go all out, but my oomph seems to diminish gradually over the years. 4. If you were one of the 7 dwarfs, which one would it be? (I saw this one somewhere). Depends on the day as to which one I'd be. Right now I'm Sleepy. 5. Beef, Pork or Chicken? I like all three, but I'd go with pork if I had to make a choice. I recently held a swimming birthday party for my son and step-daughter. I do it jointly every year since their birthdays are so close together. It saves on money doing it together but finding invitations and party supplies that are gender neutral can be a hassle. When given the opportunity to receive birthday invitations from Paperlicious and I found the Boy Girl Twins Pool Party Invitations, I knew right away those would be perfect for the occasion. 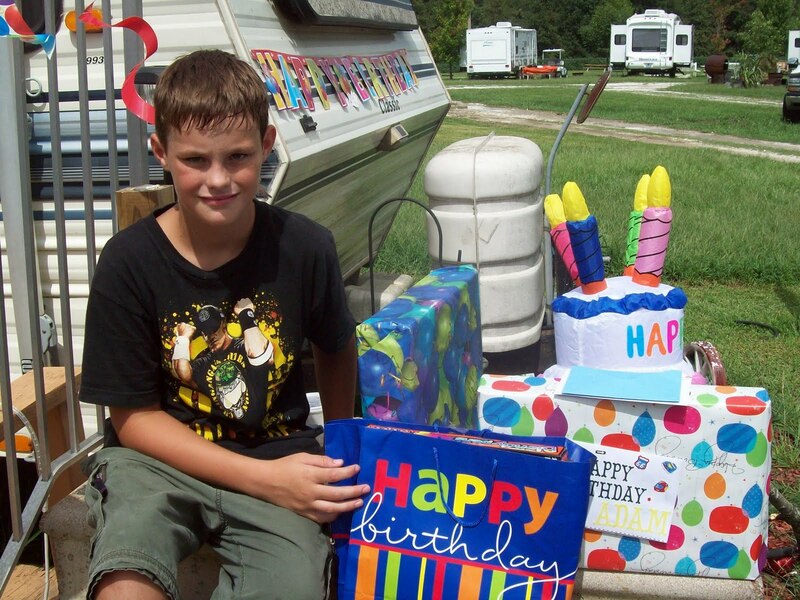 Not only did the invitations convey what kind of birthday party it was, they also featured swimming trunks for a boy and a swimming suit for a girl. Although this is not my actual invite (I didn't want to post my personal information from mine) it gives an idea of what my invitation looked like. What this example doesn't convey is the brightness and sharp color of the invitations. They were much more colorful and prettier in person. Paperlicious was conceived in 2005. This company brings invitations, birth announcements, stationery, and Momager Calling Cards to you at an affordable price. Paperlicious uses 100% recycled fiber paper from Neenah Environment and this company donates the sales of many of their products to various charities. There's no need to worry about finding envelopes to fit your invitations. Envelopes are included with each invitation and a single printed return address can be added to the envelope at an extra charge. Ordering and customization of your invitation is simple. First you choose your design and enter your custom text, and that includes changing the text color and font if you prefer. Once you enter your completed design in the checkout, you will receive a free email proof image within two business days. You then approve or request changes and your order is shipped in 2-3 business days after approval. 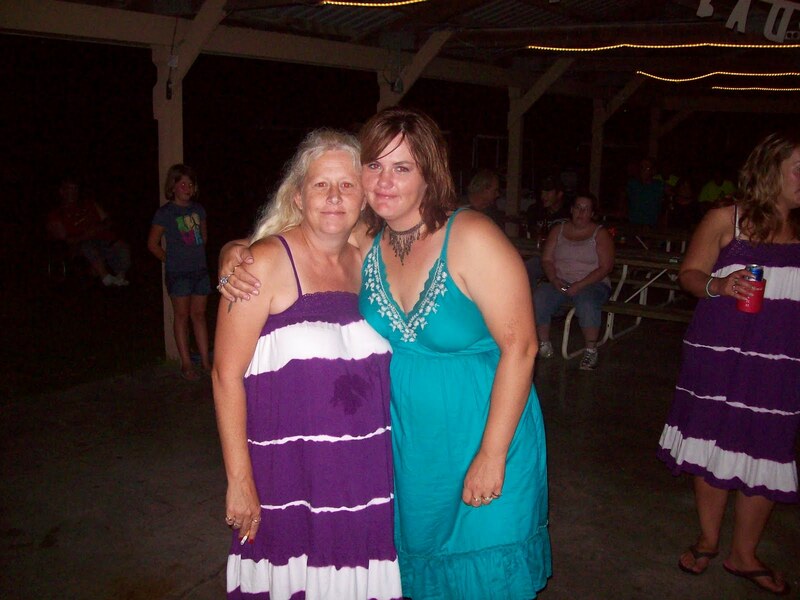 For me, the process was easy to do and the customer service was exceptional. To celebrate being five years old, Paperlicious is hosting a giveaway with over $1300 in prizes in 2010. By signing up for their email newsletter, following them on Twitter, blogging about the giveaway, or doing other entries you could possibly win one of fifty-two $25 Paperlicious gift cards. One winner is chosen each week in 2010 to win. One person will receive 15 invitations of choice, including envelopes with free printed return address. Leave a comment with your favorite party invitation. Leave a comment with your favorite calling cards design. Follow Paperlicious on Twitter, MsPaperlicious. Leave a separate comment for each entry and include your email address in the comments. Giveaway is open to residents of the USA. Giveaway ends 9/12/10 at 8 pm CST. Winner will be randomly drawn and will have 48 hrs. to respond to email notification or a new winner will be drawn. I received products for review from Paperlicious on behalf of Mom Made That. The opinions within this post are of my own and I was not influenced in any way. Please do your own research before purchasing products. Your opinions and results may differ. Do you like blog giveaways as much as I do? If so, here's some from other blogs that are going on right now. Take your chances and enter to win. Citizenpip offers muck-free reusable lunch gear that makes it easy to pack a waste-free lunch. Enter to win a Citizenpip Starter Kit in choice of pattern at Mammalicious Finds. Ends 9/7. Zehn Naturals creates and distributes innovative, eco-friendly, and inspirational products. Enter to win a tee of choice at The Nutritionist Reviews. Ends 8/29. U*neaks are shoes with side clear panel windows and specially designed socks that allow kids to continuously customize their shoes by simply changing their socks. Enter to win a pair of U*neaks shoes and 2 pairs of socks at Momma in Flip Flops 2. Ends 9/2. Bright Starts is dedicated to delivering products that inspire a child's confidence and curiosity. Enter to win an InGenuity Cradle & Sway Swing at A Mom's Balancing Act. Ends 9/14. CafePress offers the best selection of personalized gifts and unique t-shirts, clothing, mugs, and posters. Enter to win a t-shirt of choice at A Mom's Balancing Act. Ends 9/6. Rubbermaid represents innovative, high-quality products that help smiplify life. Enter to win a Rubbermaid Reveal Microfiber Spray Mop at My Organized Chaos. Ends 9/5. You can also enter to win one at Melinda Joy. Ends 9/14. Another place you can enter to win one is at Mom To Bed By 8. Ends 9/15. Olive Kids offers designed, branded, and licensed bedding with coordinating home furnishings and personalized gifts for kids. 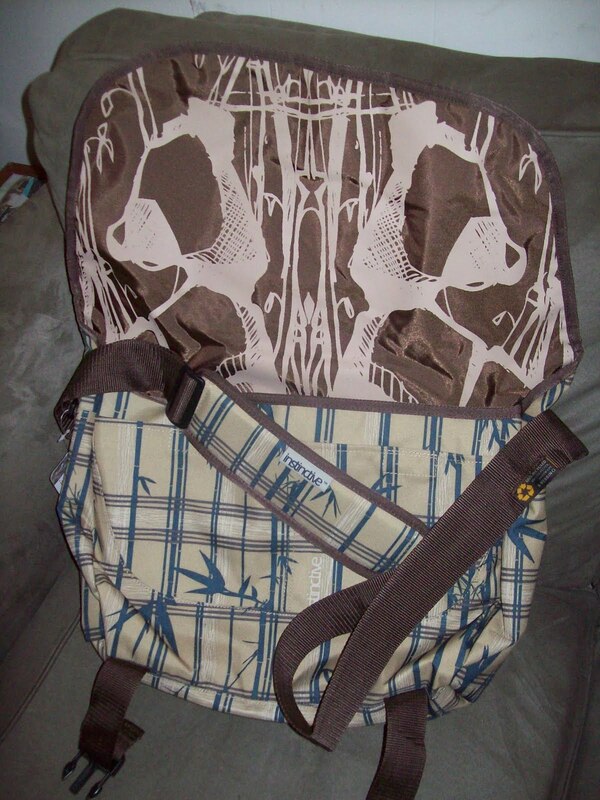 Enter to win a backpack and lunch bag in choice of pattern at J. Leigh Designz. Ends 8/30. Executive Gift Shoppe provides unique, engraved, and personalized gifts at affordable prices. Enter to win a Stainless Steel Cigar Cutter with Scissors Swiss Army Knife by Wenger at J. Leigh Designz. Ends 9/6. You can also enter to win an item of choice, up to $50, at Ladybug Soup. Ends 8/31. Infantino designs captivating, no fuss products that promote fun and discovery for baby. Enter to win an Infantino Fold & Go Bouncer at J. Leigh Designz. Ends 9/6. Little One Books specializes in quality books, music, and videos for children from birth to age five. Enter to win a $25 gift certificate to Little One Books at An Island Life. Ends 8/31. My Lil Lamb gift boutique offers adorable children's clothing and gifts. Enter to win a Zippy Zebra Personalized Tubbie Towel at Born 2 Impress. Ends 9/10. 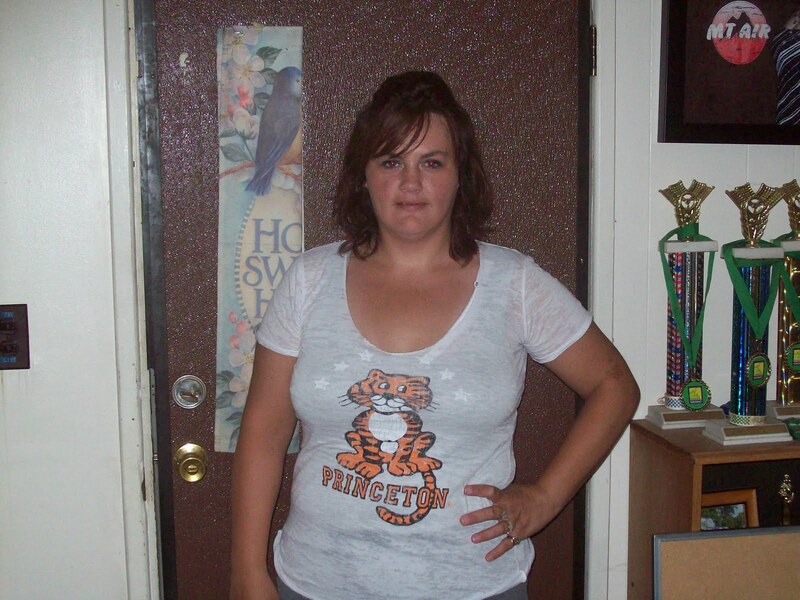 Swimsuits For All offers swimwear and related apparel and accessories that work for real women sizes 8 and up. 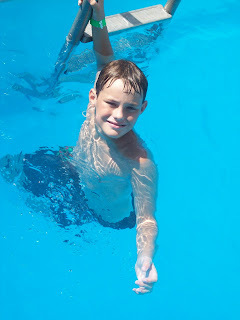 Enter to win a $100 gift certificate to Swimsuits For All at Feisty Frugal & Fabulous. Ends 9/2. Natura is the natural sleep solution to sleep well for life naturally and organically. Enter to win a Classic II Crib Mattress at Feisty Frugal & Fabulous. Ends 9/2. The Box Girls has games to create great conversations for all occasions. Enter to win a $25 gift certificate to The Box Girls at Jamie's Precious Peas. Ends 9/6. Did you know that you can be eco-friendly with your hair styling tools? I didn't until I came across the BARBAR Eco 8000 Dryer. Instead of having a coil heating element, it has a ceramic heating element. The difference is that the ceramic heating element uses 90% of the electricity, turning it into heat while the coil heating element doesn't burn all the energy and turns it into radiation. The only downside that I see with this blow dryer is that it is a little pricier than your average blow dryer. Other than that, I favor it over others I've used. It has multiple heat and speed settings, along with a cool shot release button. I've got to admit that I rarely used a hair dryer before this one for the main reason that I didn't care for the extreme heat they always radiated. 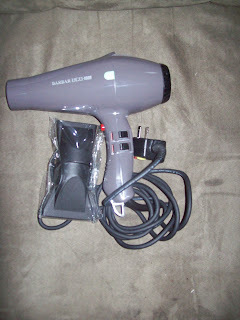 Since having the BARBAR Eco 8000 Dryer I blow dry my hair every other day after getting out of the shower. I like that it has different heat settings, and that includes one with a cool temperature. I don't want more heat in the bathroom when I'm getting ready in there in the summer. It's hot enough. The cooler temperature dries my hair just as fast and efficiently and I've actually been happier with the way my hair styles now that I've been frequently using it. The cord on the hair dryer is 11-foot long, giving it plenty of length to reach my hair. I appreciate the fact that the cord does not twist and ravel when drying my hair. There is a diffuser included with the dryer but I have yet to use it. I like it the way it is. BARBAR has many hair tools for purchase, including curling irons, flat irons, scissors, and brushes. It is based in Beverly Hills, California and has been in operation since 2000. The founder, Dominic Barbar, has turned his passion into reality by creating a premium line of hair care products that simplify the hair stylist's job. Receive a 50% discount off any purchase made from barbarhairtools.com with code Blog4fun. Code is valid until December 30th, 2010. I received product for review from Barbar. The opinions within this post are of my own and I was not influenced in any way. Please do your own research before purchasing products. Your opinions and results may differ. I received three different bath and beauty products from Bodycology. The size of each product was ample enough to last me for quite some time. The Cucumber Melon Shower Gel & Foaming Bath smelled grand. It also lathered well and only a small amount was needed to create bubbly suds. It can be used in the bath or shower. I apply a small amount onto a loofah when showering and it helps soften my skin. Its beneficial ingredients include conditioning and hydrating honey and aloe vera. I am quite particular about lotions. If it even begins to feel greasy, I'm done with it. The Fresh Waters Hand & Body Lotion gave a silky feel. The fragrance wasn't one of my favorites, but I wasn't displeased with it either. The beneficial ingredients in this lotion includes hydrating aloe vera, moisturizing shea butter, and nourishing vitamins E & C. My skin does not feel dry or ashy after applying this lotion. Out of the three products with three different fragrances, I like the smell of the Cherry Blossom Body Mist best. With the hot weather making me feel sticky and stinky, this body mist is a refresher. I spritz it on my neck and wrists to give a long-lasting pleasant aroma. The beneficial ingredients in this include conditioning and hydrating aloe vera. Bodycology, a part of Advanced Beauty Systems, is one of the fastest growing health and beauty companies in the U.S. Their products are available at retail, drug, grocery, and specialty stores nationwide. I received products for review from Bodycology. The opinions within this post are of my own and I was not influenced in any way. Please do your own research before purchasing products. Your opinions and results may differ. Studies show that exercising in brain activities has many benefits, including sharpening the mind. Puzzles, board games, and logic books are great resources for putting the brain to work. I like to engage in these types of activities and I like when my kids do because it makes them think. At Monkey Pod Games you will find a variety of wooden brainteasers, puzzles and family games. 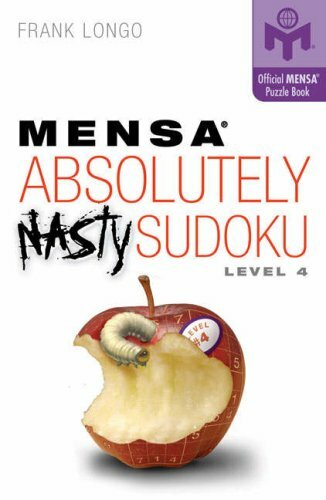 Many of the puzzles and games are educational, with a side of fun. The puzzles, books, and games have varying levels. If you're a genius (and I'm not!) you can purchase books and brainteasers that will show your true skill. There are also kid's learning puzzles for the younger ones to explore and play with. And there's something for everyone in between. Shut The Box, a wooden board game, is what my family received from Monkey Pod Games. Some of my kids struggle with math so I used this as a teaching tool to prepare them for the upcoming school year. Other than the fact that it's educational, it's also fun. It's another game that we now frequently play. 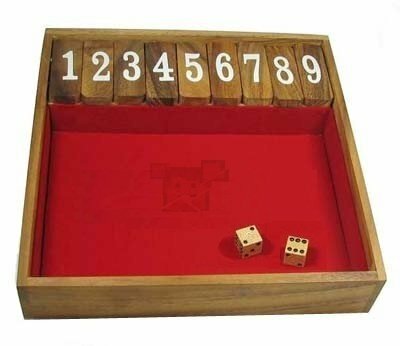 Shut the Box can be played by any number of players, which is a good thing for this large family who always wants in. On a turn, a player repeatedly throws the dice to cover the tiles of the box. It ends when no tile can be covered on a throw and the player's penalty score gets calculated. The goal is to cover all numbers and "shut the box". The player with the lowest score wins. To give an example, if the dice rolled shows a 4 and a 3 (which add up to the sum of seven), the player can cover tiles 4 and 3 or tiles 2 and 5. There are also other combinations of tiles that can be turned as long as they add up to the sum rolled. This game is one that requires mathematical thinking, but it's also the roll of the dice that help determine who wins. The wooden base itself that the game is made of is well-made and this is a game that can be enjoyed by both kids and adults alike. One person will win Shut The Box, the wooden board game. Leave a comment with a product you like from Monkey Pod Games. Leave a comment with another product you like from Monkey Pod Games. Follow Vanessa Cooper of Monkey Pod Games on Twitter, MonkeyPodGames. Enter my ID On Me giveaway. I received product for review from Monkey Pod Games. The opinions within this post are of my own and I was not influenced in any way. Please do your own research before purchasing products. Your opinions and results may differ. Honey Can Do has built their company around providing stylish, high-quality home storage solutions at an affordable price. Their storage products inspire consumers to invest in the concept of organizing their homes. The Laundry Kit for Dummies from Honey Can Do would make an excellent gift for someone going off to college or as a bridal shower gift. It'd even be nice as a gift for yourself, considering it has various items to help with laundry. You don't have to be a dummy to get use out of this kit. Doing laundry is a chore that I don't mind doing, but having products that help ease the process make it much easier. 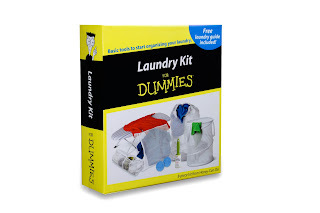 The Laundry Kit for Dummies has all sorts of items to help sort, wash, dry, and iron clothes. The items included in the kit come in a familiar "Dummies" box with a handle. Large Mesh Laundry Bag - I actually take this to camp with me to put the dirty clothes in and take home after the weekend. The bag has a drawstring and draw lock for closing and hanging. Large Sweater Mesh Bag - It protects sweaters and knit garmets from snagging. It drives me nuts when a good sweater gets ruined because it gets snagged on something, so this bag is beneficial in preventing that from happening. 4-Compartment Hosiery Wash Bag - There are four built-in compartments for individual protection of your hosiery. 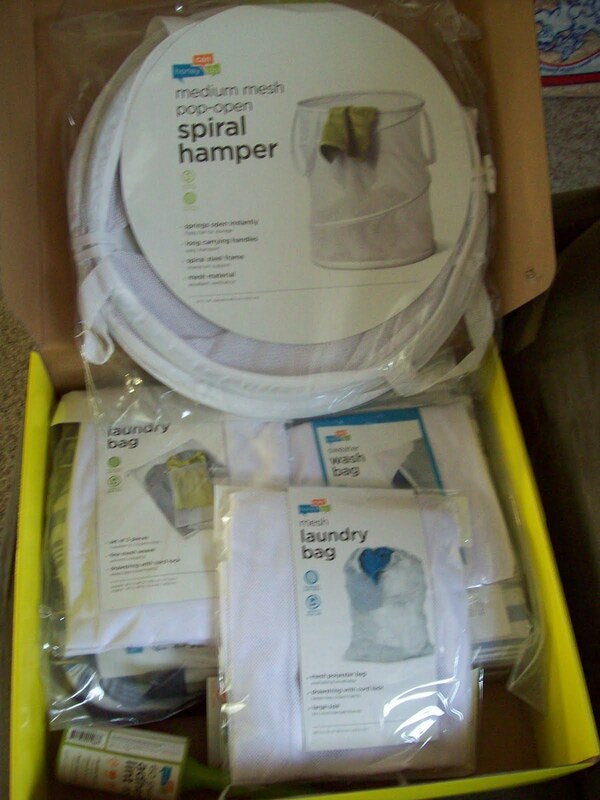 Medium Mesh Pop-Open Spiral Hamper - This hamper pops up with ease and has a strap for transport. I keep it in my teenage daughter's room so she can throw her dirty clothes in it, then bring it in to the bathroom when full. Folding Tabletop Ironing Board - I don't have a lot of room in my home, so this compact board is nice because I can keep it stored in a small space when not in use. There is a chrome-plate iron rest so the fabric on the board itself doesn't scorch. 2 Fabric Softening Dryer Balls - These balls are used by throwing them in the dryer in lieu of fabric softener sheets. They are economical and reusable, and help eliminate static. 60-Sheet Adhesive Lint Roller - Especially now that we have a guinea pig, it seems that our clothes are always lined with pet hair. After I've handled the rodent, I'll use this lint roller to eliminate the evidence. Laundry Guide - This one page laundry guide can be taped or posted near the washing machine. It gives beneficial tips on basics for washing and drying clothes. There's also tips on how to read labels and sort laundry. 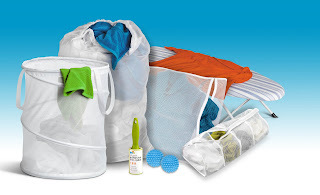 One person will win a Laundry Kit for Dummies from Honey Can Do. Leave a comment with a product you like from Honey Can Do. Leave a comment with another product you like from Honey Can Do. Have my button on your blog (+2 entries). Leave a separate comment for each entry and include your email address in the comments. Giveaway is open to residents of the continental USA. Giveaway ends 9/10/10 at 8 pm CST. Winner will be randomly drawn and will have 48 hrs. to respond to email notification or a new winner will be drawn. I received products for review from Honey Can Do. The opinions within this post are of my own and I was not influenced in any way. Please do your own research before purchasing products. Your opinions and results may differ. Hello and welcome to Keepin' Company Thursdays, hosted by me and Traci66. School has officially started for all six of my kids. There hasn't been a year go by that I've been excited about it. I enjoy spending the quality time with the kids in the summer and it's bittersweet to see them off to school. I have lots of giveaways posted at the right hand side of my blog. Be sure to enter them when you get a chance. There's no limit to how many you can enter or how many times you can win. * If you add the Keepin' Company button to your sidebar and leave either of the hosteses, Heck of a Bunch or Traci66, a comment letting us know where to find it we will randomly draw a blog to be in the #3 spot next week. This week's coveted #3 spot goes to Inside My Head. I just recently became a follower of her blog and love her witty writings. Unfortunately, I can't comment on them due to some proxie server block. Go over and read her posts. You'll get a chuckle. Last weekend I hosted a simple, joint birthday party for my 11 year old son and 10 year old step-daughter. We had a gathering with family and friends, eating a large meal and swimming. It was very low-key, yet a nice celebration. 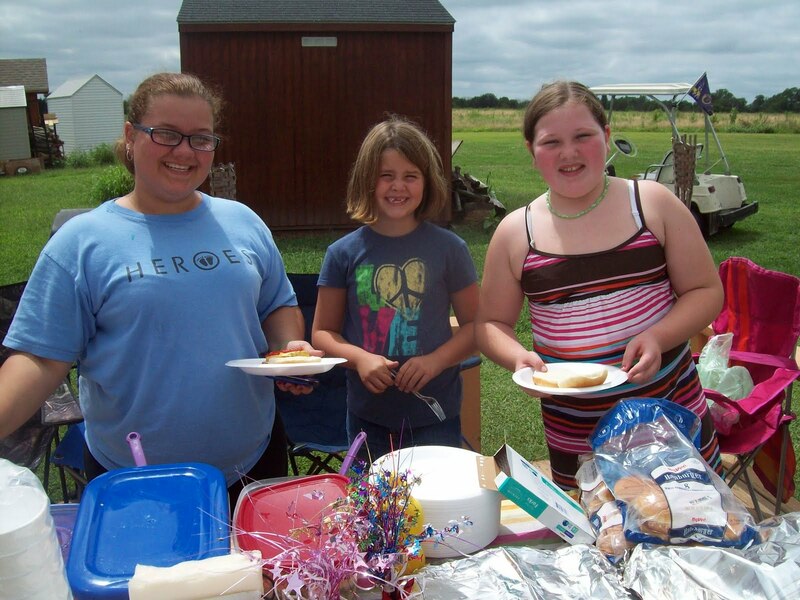 Allyson, Emma, and Juliann are seen here gathered around the table preparing their food. Not a one of these girls can be denied by Jason. They are all a spitting image of their daddy. Adam turned 11 years old on the 18th of this month. He has become more of a mommy's boy within the last couple of years and I cherish it. Due to a lot of circumstances, he and I didn't always have the strongest bond. Now we do and it is so special to me. For the most part Adam is calm, cool, and collected. He rarely has a temper unless provoked (which is another thing that's just changed within the last few years). Hardly do I have to chastise or incite him to do favors or chores. He's just recently learned to mow the camp yard and now wants to mow all the yards. I can see him one day owning a campground of his own. If anyone has any question about any campers, golf carts, or people at the campground all they have to do is ask Adam. He's the know-all of the place. Juliann turned 10 years old on the 6th of the month. She likes frogs and has lots of decor and accessories to attest to that. 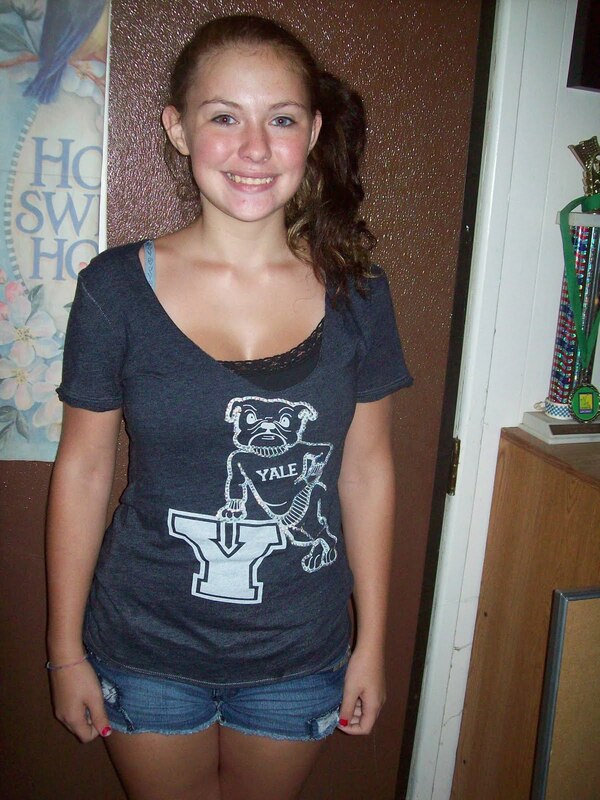 Juliann is very smart and loves school. Some days she is quite giggly and others she is quiet. She likes to know people's business and know what everyone's doing at all times. She and I have also just started to bond within the last couple of years. She's the one who, out of the three step-daughters, has had the hardest time warming up. HAPPY BIRTHDAY JULIANN AND ADAM! LOVE YOU LOTS! Adam is not yet completely comfortable with swimming in the deep end so he often times hangs on to the ladder rails. Later that night there was a band in celebration of another camper's birthday. 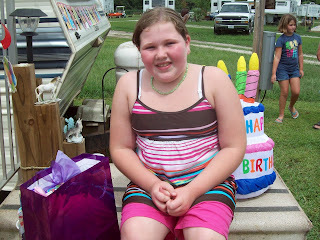 My sister actually started a trend with the purple and white dress. It turned out that she organized it to where five other campers would be wearing the same dress that night. I wanted to join in so I borrowed a dress from a friend and wore it. 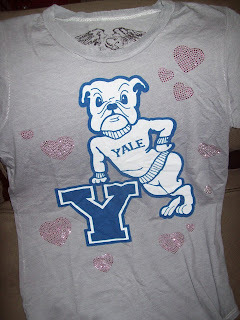 Although I looked like the black sheep of the bunch, I was a part of the girl's club. Teaching my kids to be environmentally responsible is a lesson I hope to instill in them and hope they carry on to others. Just by following and reading other blogs, I know there are a ton of people who are more environmentally conscious and aware than I am. However, I try to do my small part. Two people who have taken recycling to a whole new level are Ryan and Anne, the married couple behind Instinctive. The company was born with the purpose of creating affordable, quality bags and backpacks that are sustainable. All messenger bags, backpacks, and totes at Instinctive are made from 100% recycled material, from the hardware and webbing to the polyester. In addition, Instinctive has a Lifetime Takeback Policy where you can return your bag for repair or replacement. You will receive any new in stock bag or backpack directly for 10% off wholesale cost, plus shipping. Your used bag will be donated to an underprivileged child. As if that wasn't enough to consider this company admirable, they also donate up to 3% of sales to aid the WILD Foundation, an internationally acclaimed conservation organization. I received the Bamboo Messenger bag and noticed that just because it's made from recycled material, it is not flimsy or low-grade. It features a panda/bamboo design on the outside with a different panda/bamboo design on the inside. Waterproof coating on the underside of the body fabric makes it simple to wipe clean. The shoulder strap pad helps ease the weight on your shoulders. The compartments are large and there are closures that click together to keep it secured shut. I like the overall design of this messenger bag. It holds several items and seems like it is built to last through many uses. 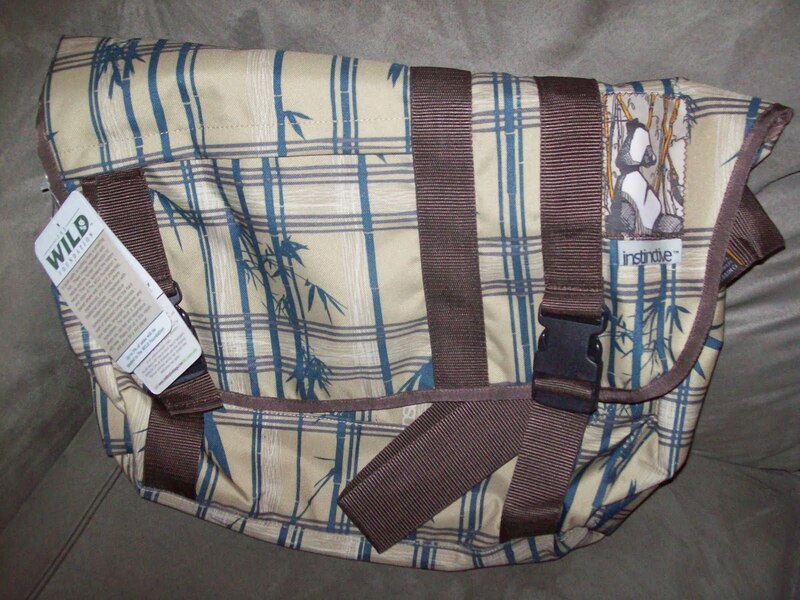 One person will win a Bamboo Messenger bag, like the one pictured above. Leave a comment with your favorite bag from Instinctive. Enter any current giveaway at Traci66 (+1 for each entered). Leave a separate comment for each entry and include your email address in the comments. Giveaway is open to residents of the USA. Giveaway ends 9/10/10 at 8 pm CST. Winner will be randomly drawn and will have 48 hrs. to respond to email notification or a new winner will be drawn. I received product for review from Instinctive. The opinions within this post are of my own and I was not influenced in any way. Please do your own research before purchasing products. Your opinions and results may differ. Imagine being able to find virtually anything, all under one online store. With over two hundred sites, that's possible with CSN Stores. Furniture, home decor, school supplies, shoes....the list goes on and on. The first time I worked with CSN Stores I received an outdoor solar light. It still stands in front of my camper, shining a blue hue at night. This time when I had the opportunity to work with CSN Stores, I chose to browse for needed items for my teenage daughter and husband. See, I'm not always selfish! Shelby wanted a new backpack for school, with two main criteria in mind. It had to be cute and it had to be roomy. 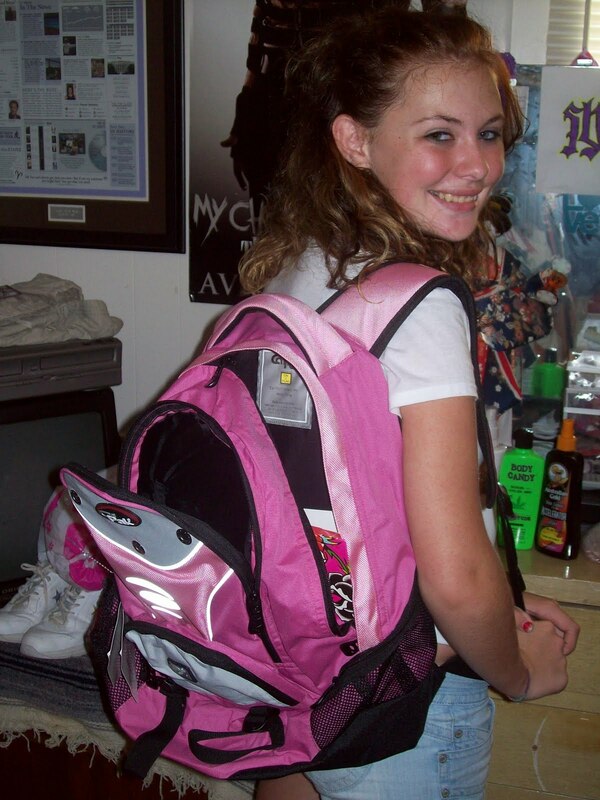 Her wish was granted when she received the CalPak Apez 18" Multi-Pocket Backpack in hot pink. Shelby's reaction to this backpack was different than the reaction she had last year. My husband thought he'd be nice last year and buy her a very expensive backpack from Snap-On. Yes, the tool company! Not that there's anything wrong with that particular company (trust me, we spend a ton of money with them) but my husband's heart was in it when his idea of what a teenage girl would like wasn't. It was black and grey in color and very bulky. At any rate, Shelby is very happy with her backpack from CSN Stores. There are plenty of pockets and large openings to ensure that she has ample room to carry all her school supplies and books in. The shoulder straps are padded, giving extra support on her back and shoulders. The side mesh pockets are great for carrying bottled drinks and stainless steel bottles. And of course Shelby thinks its fantastic that it has a MP3 player earphone port. For my husband I received the Itasca Men's Cross Creek Waterproof Hiking Boots in Buff. Let me tell you, Jason can go through shoes unlike any other. He's on his feet working all day and he must have shoes that will last through some wear and tear. I have yet to determine how long these boots will last, but if it's for even more than a couple of months it will be a plus. The biggest problem with shoes that he's had before is that the soles tear apart quickly. These particular pair of boots have cement sole construction so hopefully they last longer than the usual. Jason likes the overall look and comfort of the boots. They were ordered in his size and fit just right. 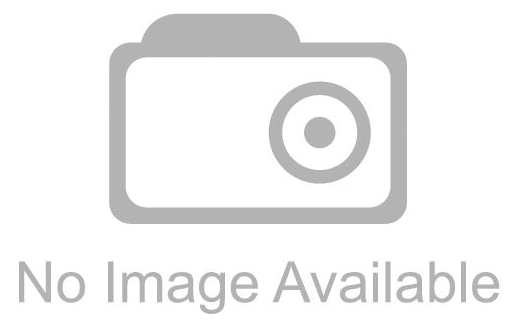 I received products for review from CSN Stores. The opinions within this post are of my own and I was not influenced in any way. Please do your own research before purchasing products. Your opinions and results may differ. Two of my giveaways have ended and I have randomly drawn the winners. The two winners of the Date Night DVD giveaway are #165, butter-bean and #176, allisonsbj3. My favorite comic is Bill Cosby! Congrats to the winners and thanks to all who entered. I will be emailing the DVD winners shortly and they will have 48 hrs. to respond to email notification or new winner(s) will be drawn. I have numerous other giveaways going on right now as well. The complete list can be found at the top right hand side of the blog. There's no limit to how many you can enter or how many you can win. We have a full and busy household. Six kids, two adults, a guinea pig, a gecko, an iguana, a beta fish, and African Dwarf Frogs all under one roof. I wouldn't want it any other way but, with so many of us, it's important to stay on top of things to ensure that we are protected from germs and bacteria. Especially now that the kids are in school. One thing I've been using to keep my household free from bacterial exposure is PureGreen24, an antimicrobial disinfectant and deodorizer. Pure Green, LLC, the distributor of PureGreen24, is dedicated to reducing health risks caused by exposure to viruses, fungi, and bacteria without endangering humans or animals. The company itself donates a portion of their profits back to charities in support of children's health, cancer research, and animal protection. PureGreen24 disinfects and deodorizes. PureGreen24 is comprised of silver ions and citric acid. When applied to surfaces, it kills everyday household germs and eliminates odors. More importantly, it is non-corrosive, odorless, contains no toxic chemicals, and provides 24 hour residual effectiveness. I use the PureGreen24 disinfectant and deodorizer at least twice weekly. I've used it around the home and at my camper. After cleaning my home or camper, I go around each room and spray PureGreen24 on surfaces and then wipe it dry. Instead of using paper towels to wipe it up, I use the microfiber cloth that I received with the PureGreen24 and then wash it by itself. The microfiber cloth is reusable and absorbs well. I personally have noticed no harsh smell or bad effects from using this product. One person will win a PureGreen24 Starter Pack that includes three XL Microfiber Cloths, one bottle of 32 oz. Disinfectant and Deodorizer, and two bottles of 4 oz. Disinfectant and Deodorizer. Leave a comment with something you learned from the PureGreen24 Questions and Answers. Enter my Learning Resources giveaway. Leave a separate comment for each entry and include your email address in the comments. Giveaway is open to residents of the continental USA. Giveaway ends 9/9/10 at 8 pm CST. Winner will be randomly drawn and will have 48 hrs. to respond to email notification or a new winner will be drawn. I received products for review from PureGreen24. The opinions within this post are of my own and I was not influenced in any way. Please do your own research before purchasing products. Your opinions and results may differ. 1. Can you sneeze and fart at the same time? Without peeing yourself? My kegal exercises come in handy and I only have that problem once a week! 2. Have you ever farted in the tub? That's not the bubbly soap you're seeing in there! 3. When was the last time you cursed? 4. If you were a superhero, what would your name be? 5. Use 1 word to describe yourself.